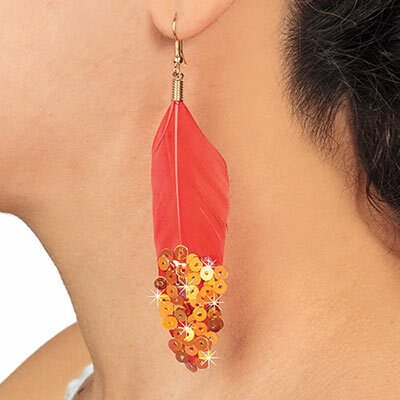 Natural feathers are dyed a bold red shade and accented with layers of gold sequins for sparkle and shine. Gold-tone French wires. 4¼"l. Hurry! Quantities are limited!